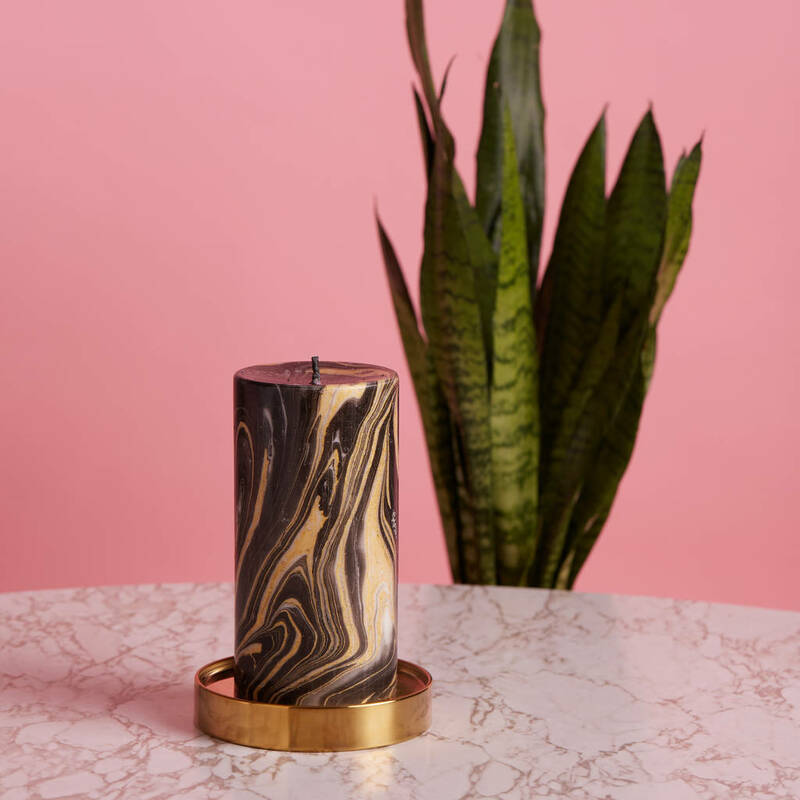 Create the ultimate statement in home decor with our Theia Marble Candle. 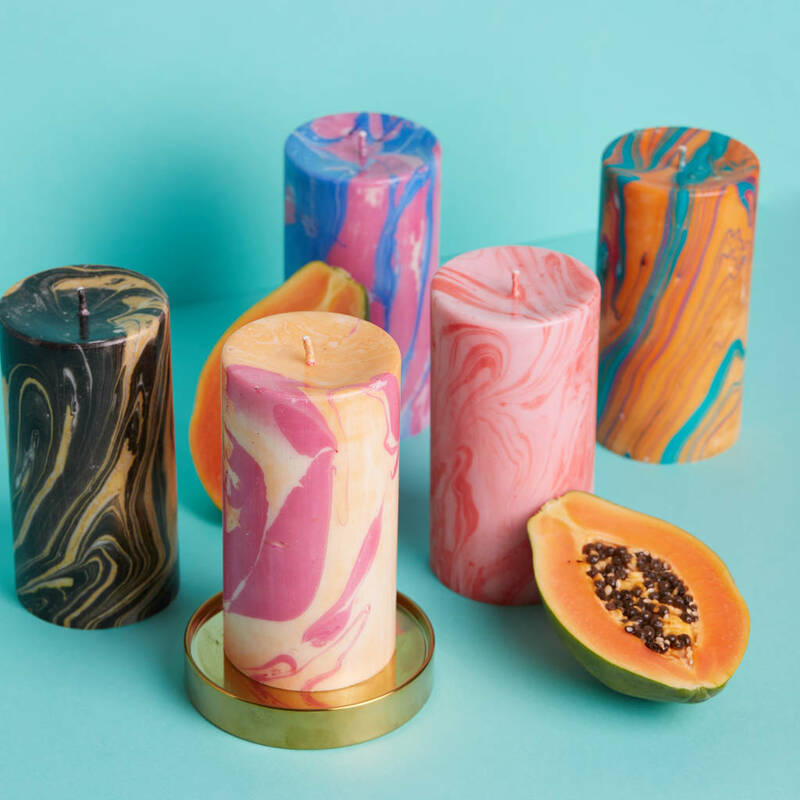 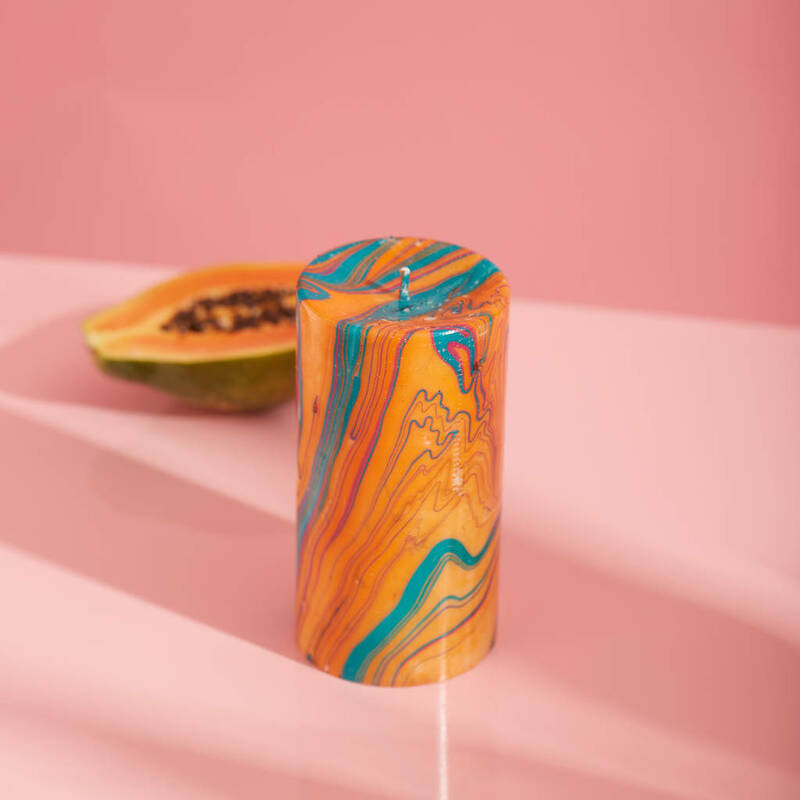 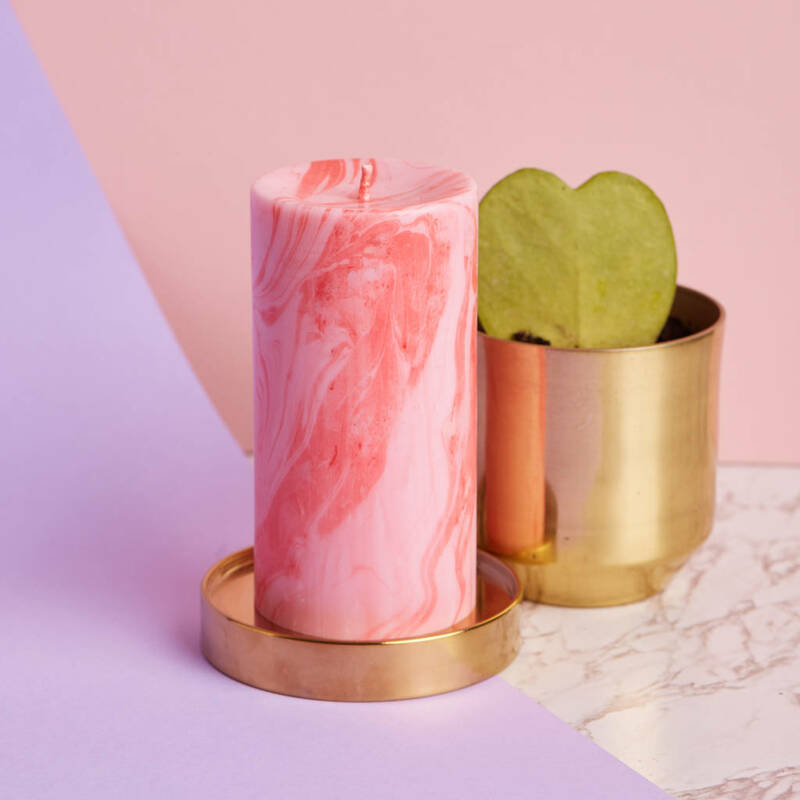 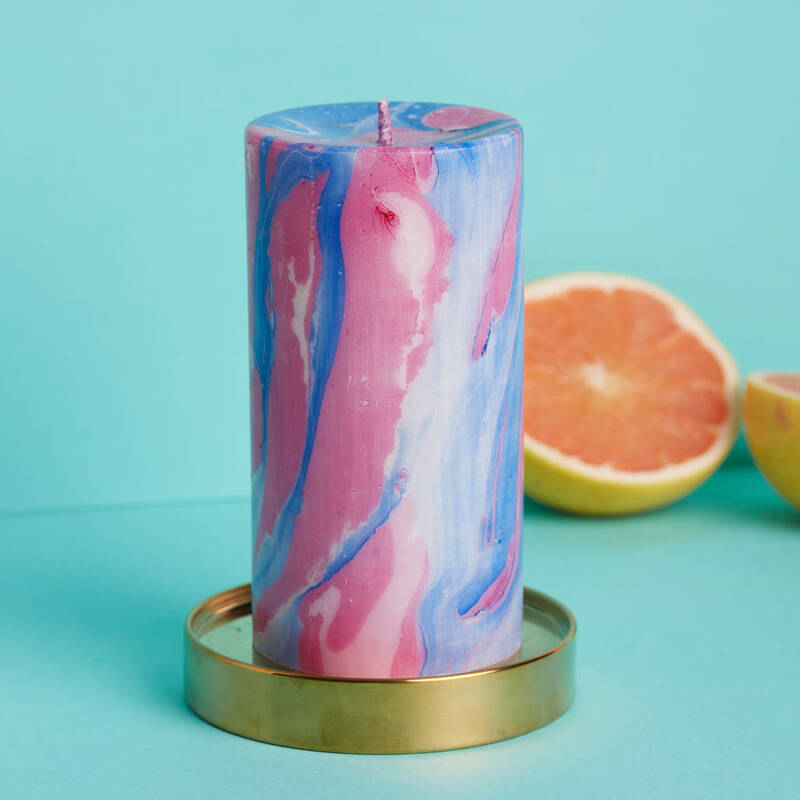 A lavish pillar candle hand-poured with soy wax and dip-dyed to create the eye-catching marble swirl. 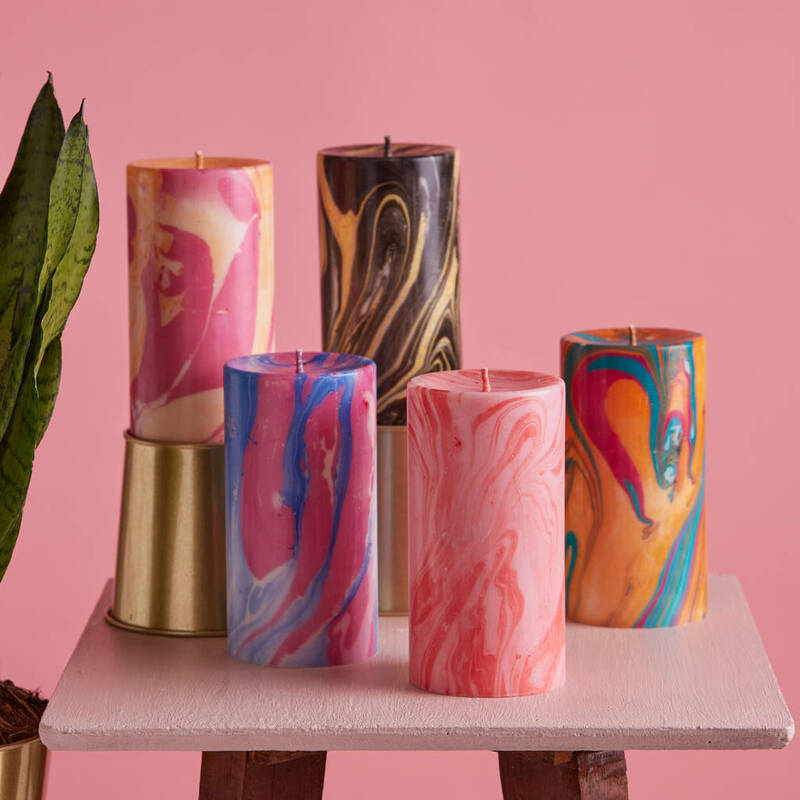 Loverdose – red and pastel pink, Candy Shop – royal blue and pastel pink, Pink Matcha Latte – pastel pink and gold, Goldrush – black and gold, Calypso – teal and orange. 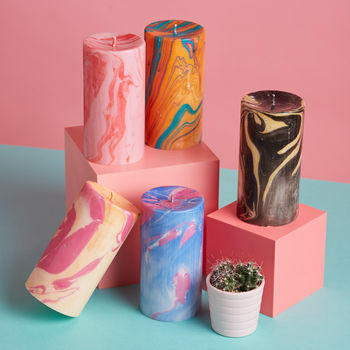 Each candle is unique, hand-poured and dip-dyed individually. Average burn time is 75 hours. 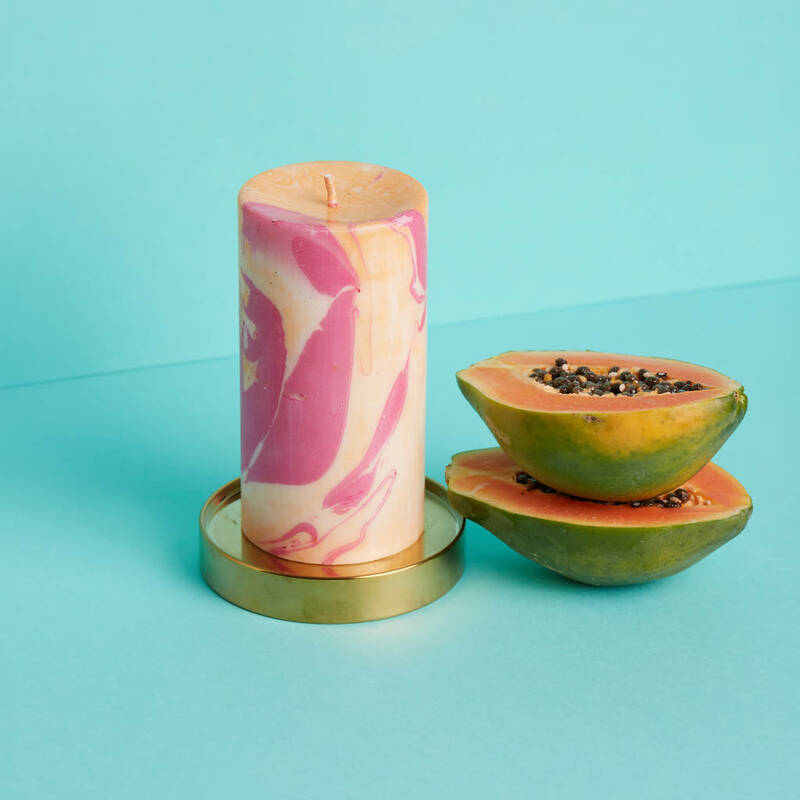 H14cm x W7.5cm, approx 600g. 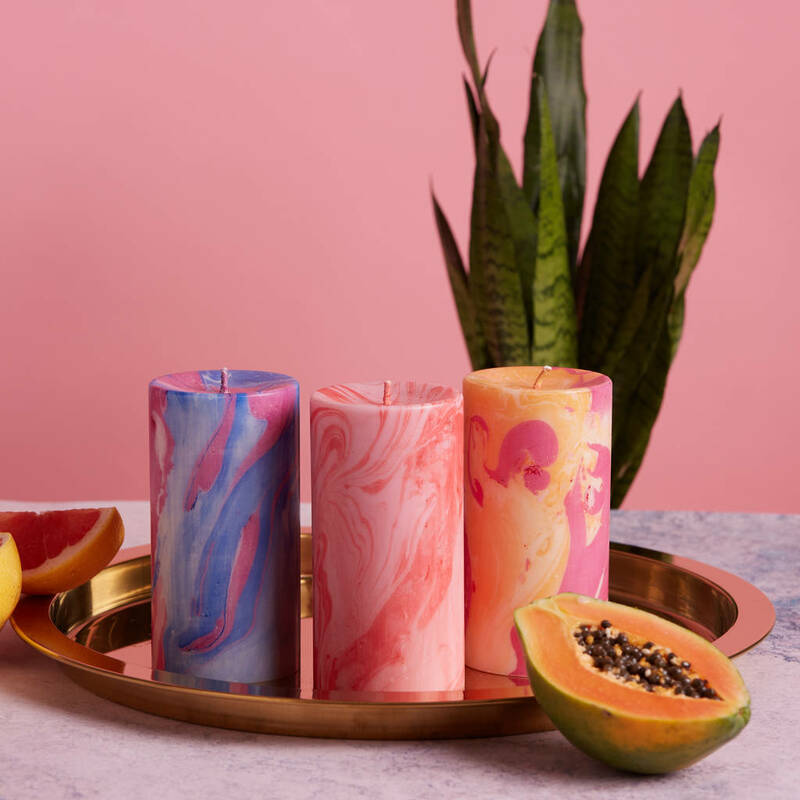 This product is dispatched to you by Flamingo Candles.